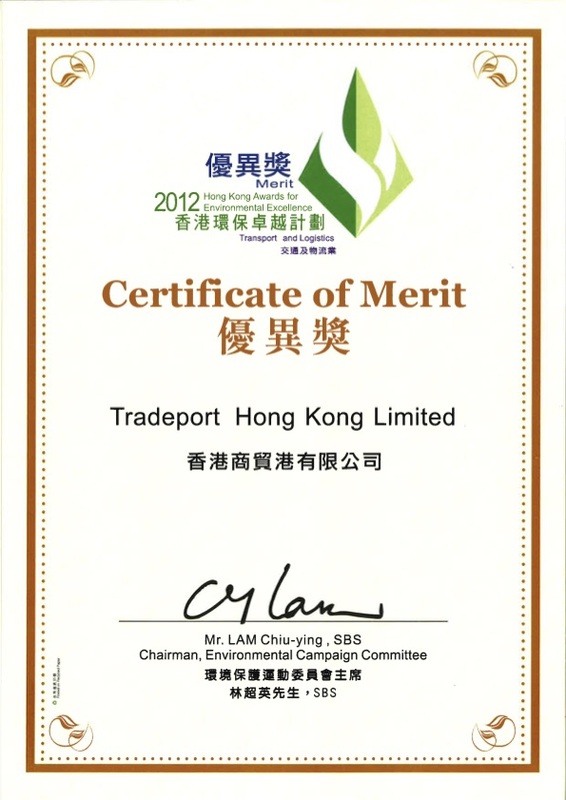 Tradeport is customer-centric and we never cease to improve our services to be a forerunner in international logistics. 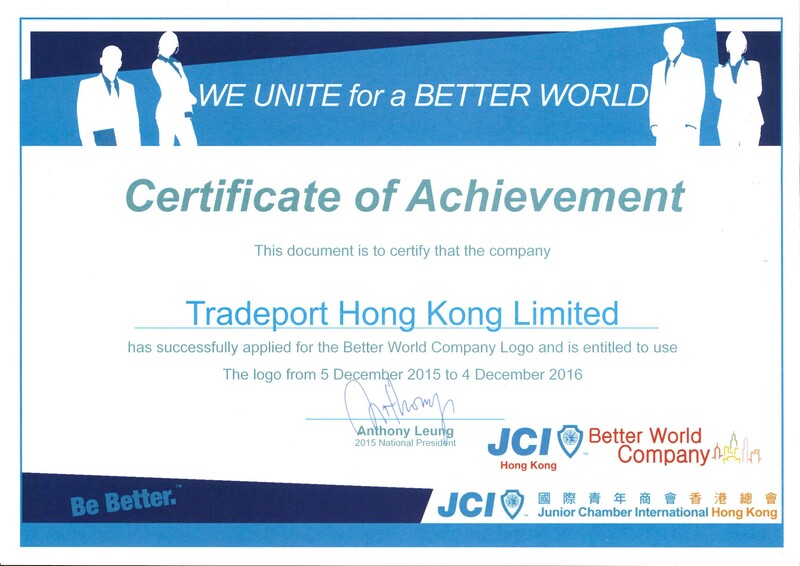 As we expand our business, we make sure that our solutions are what you are looking for. 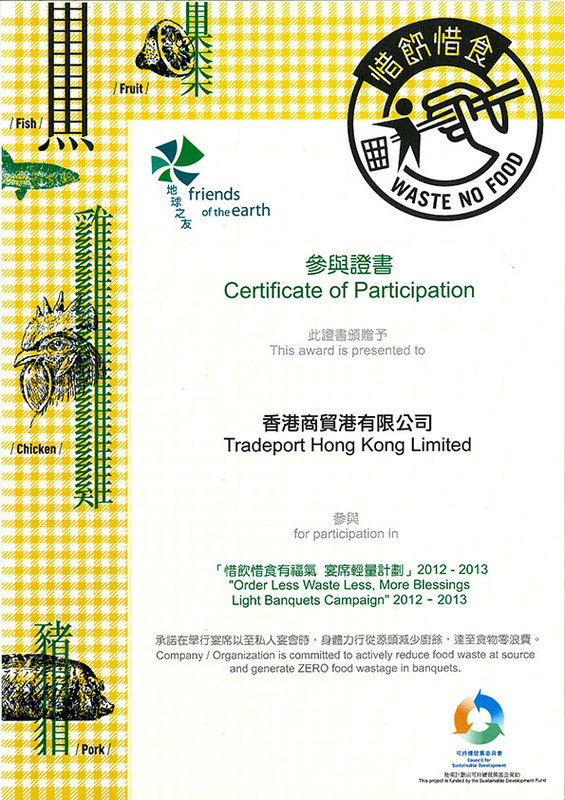 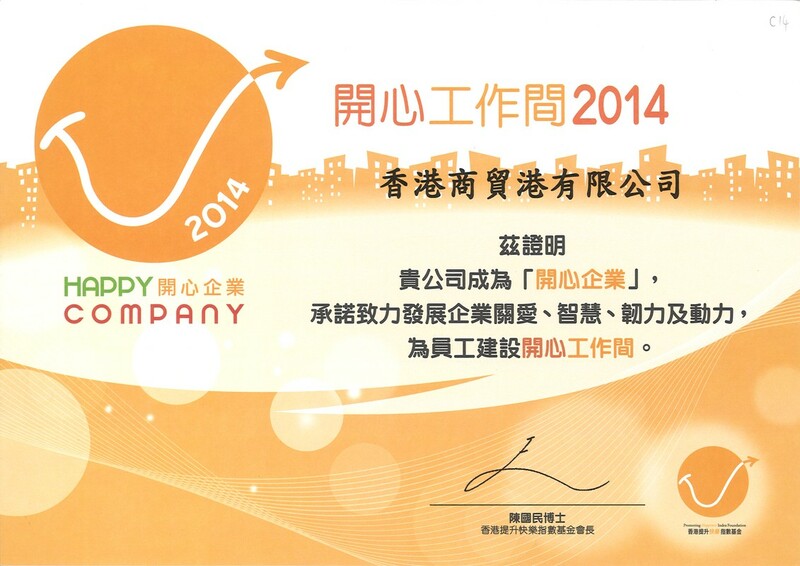 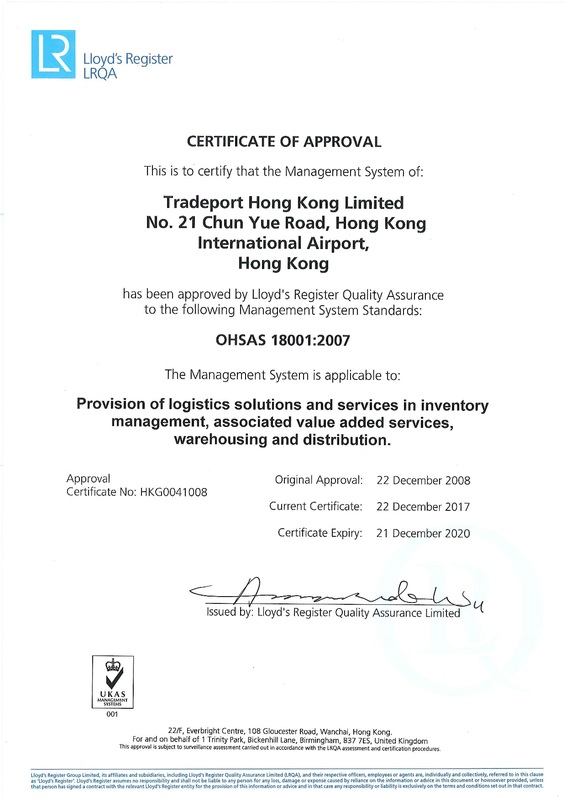 We have been recognised in numerous certifications and awards through the years. 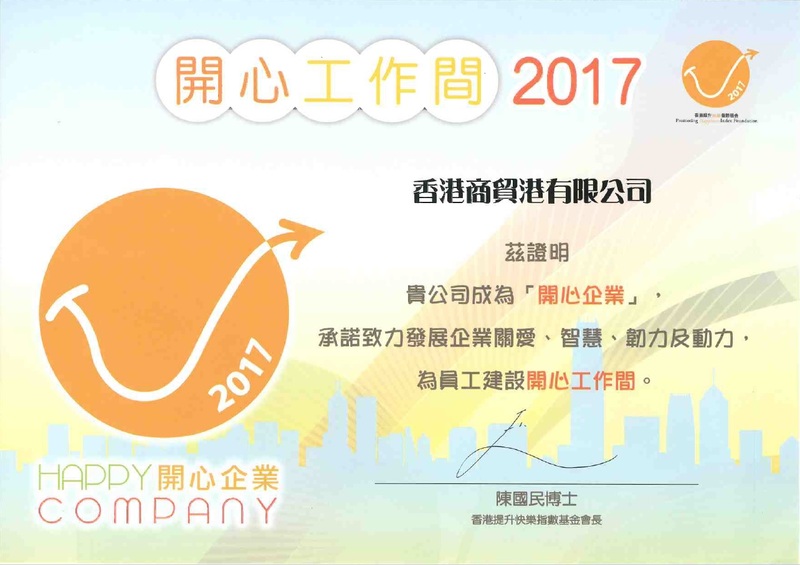 We have earned these certifications with our best-of-class systems and facilities, well managed processes and dedicated workforce. 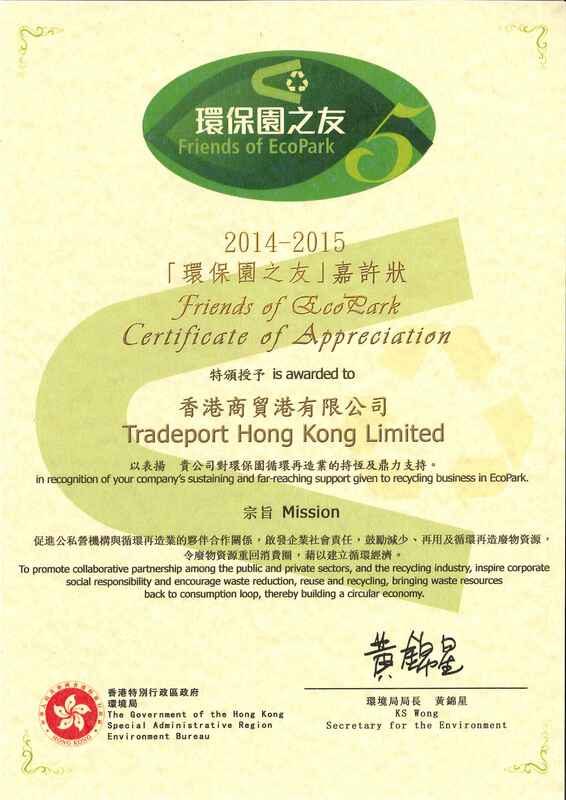 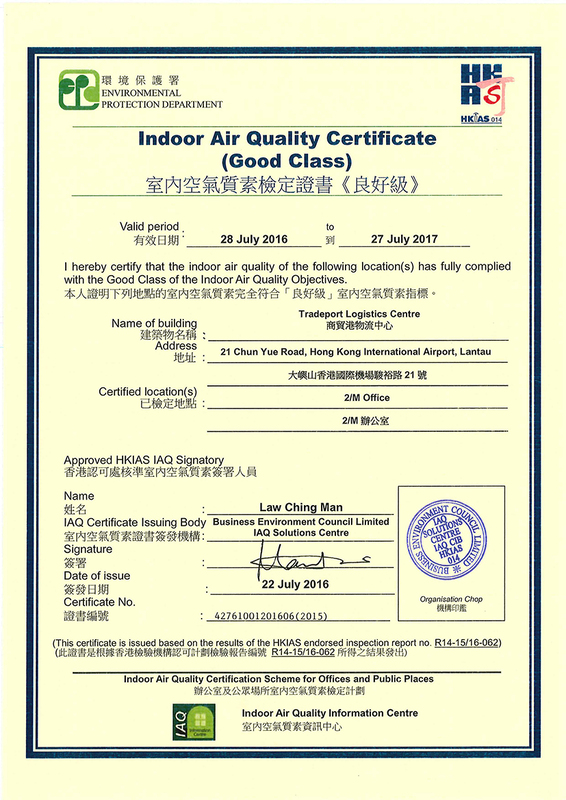 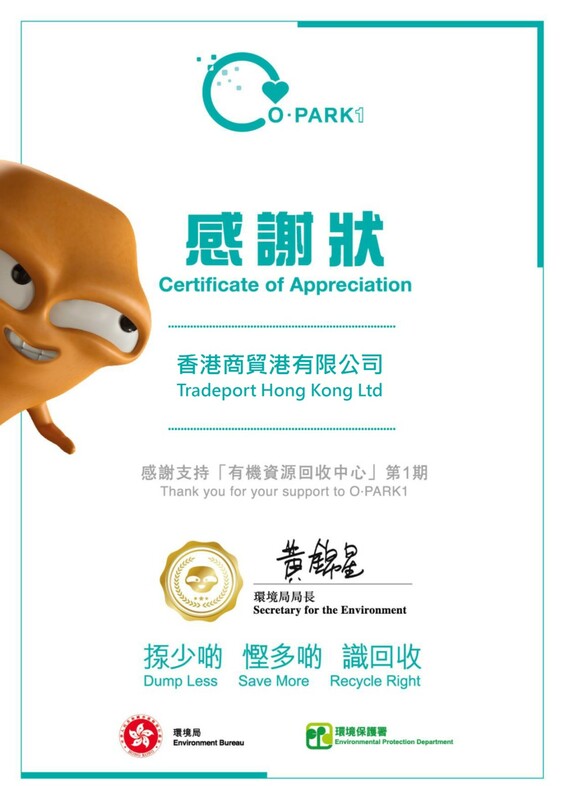 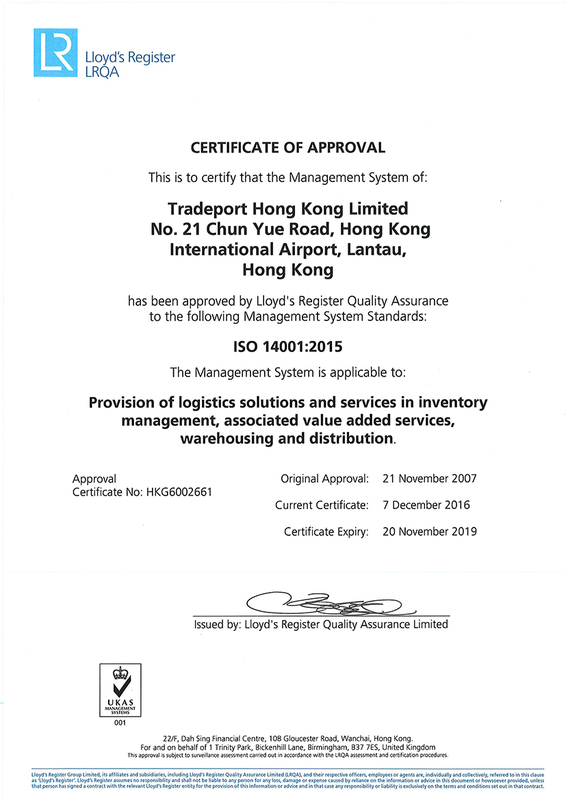 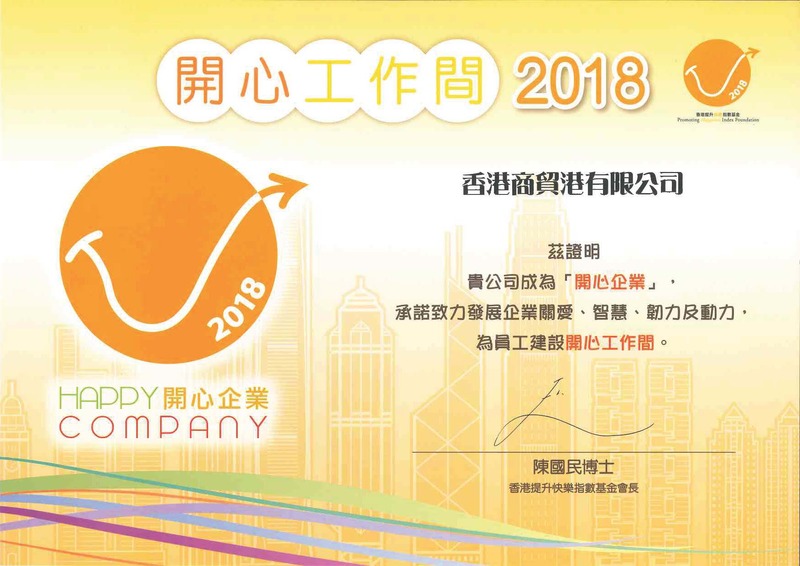 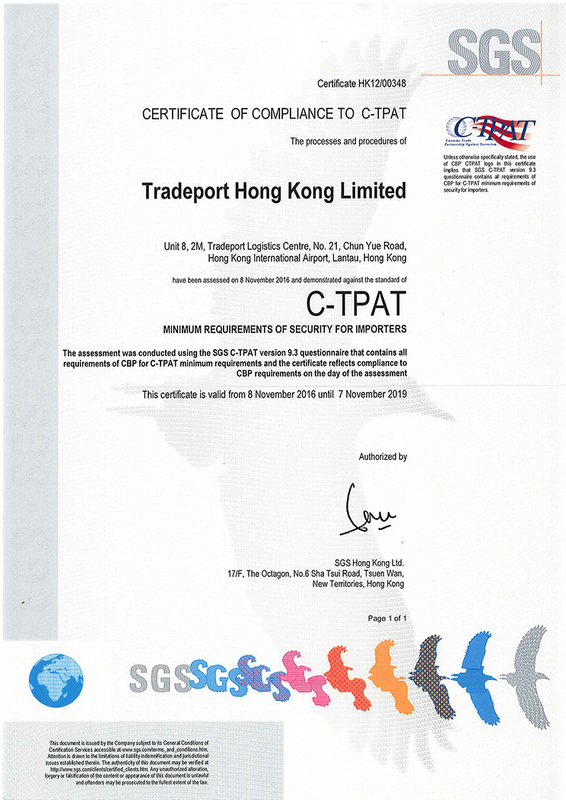 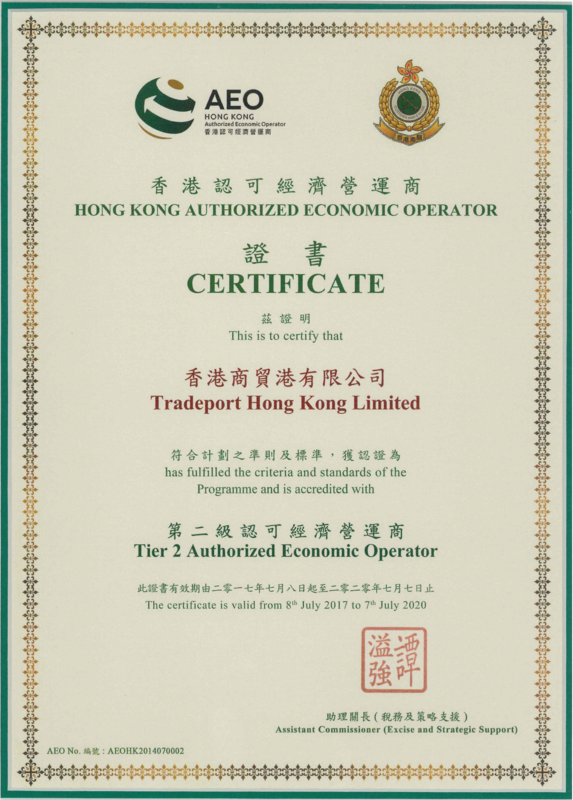 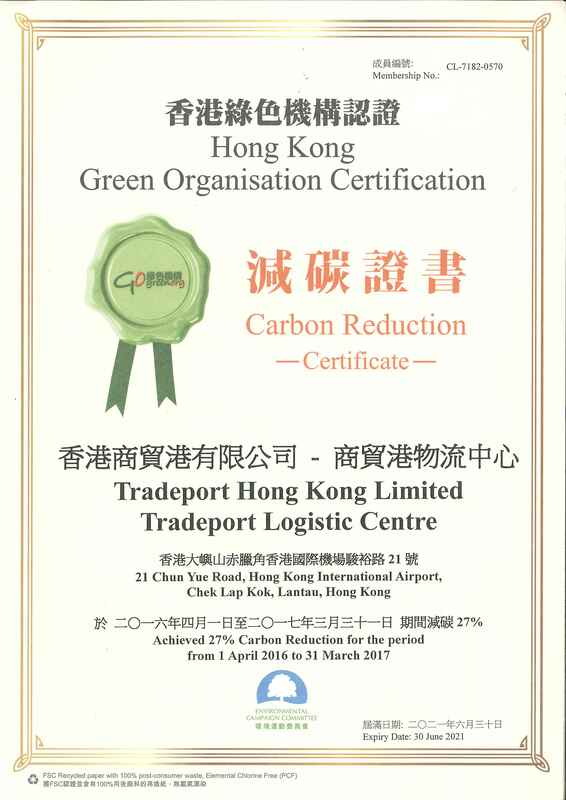 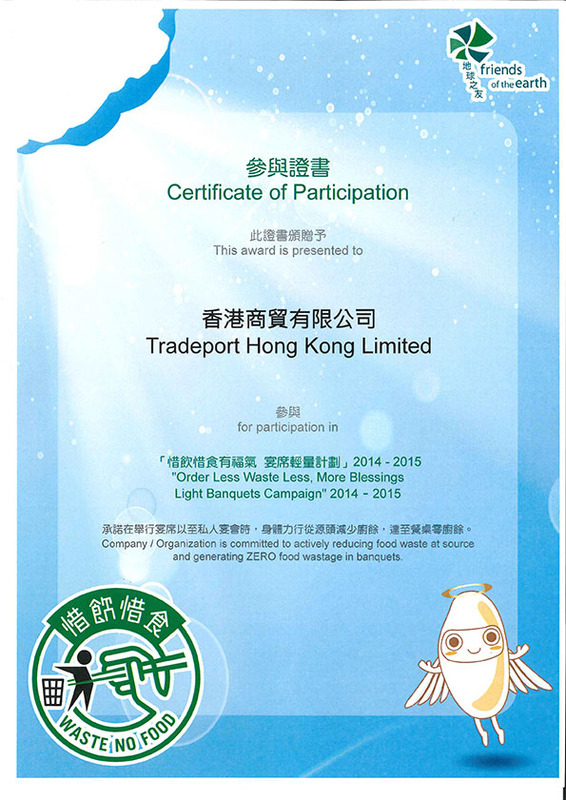 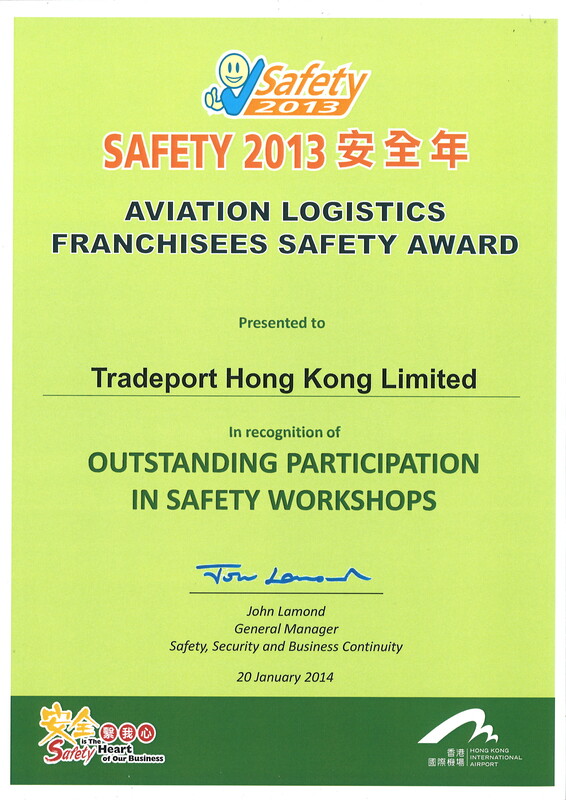 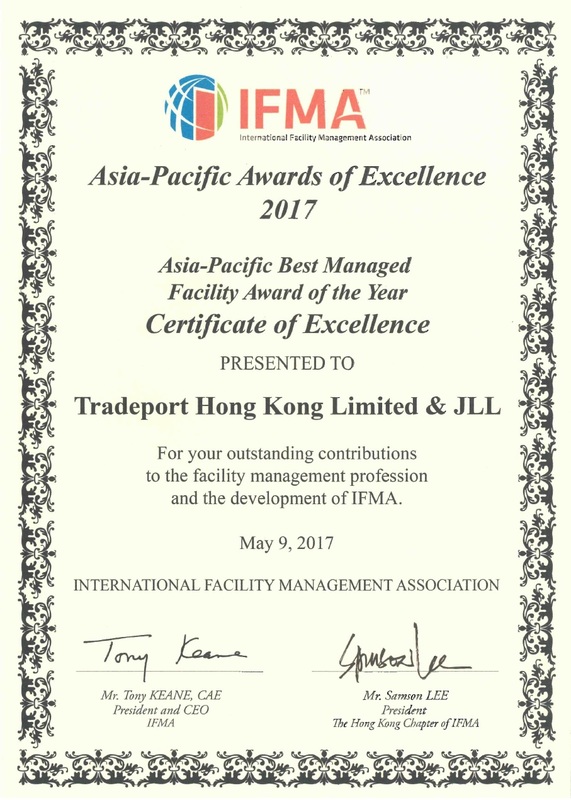 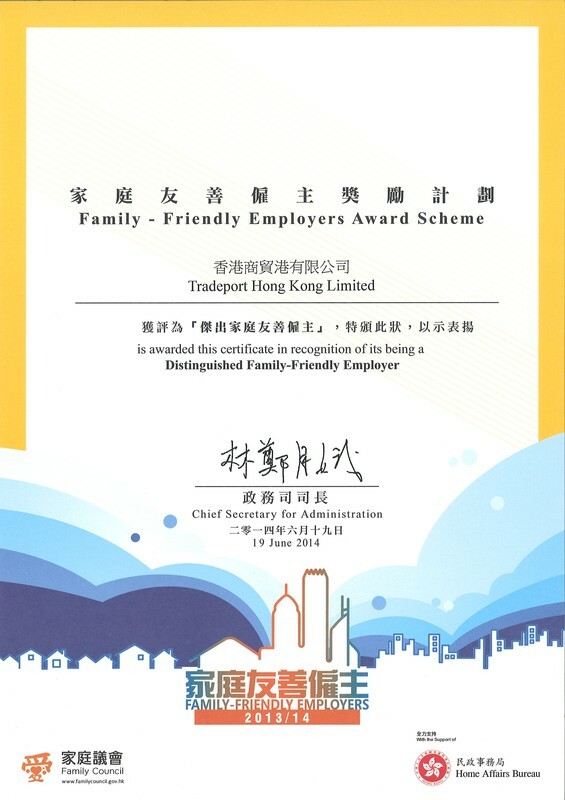 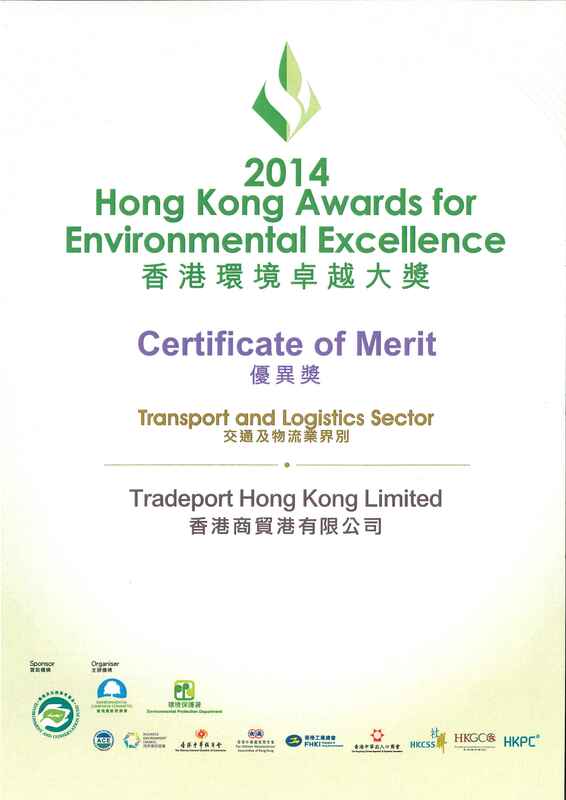 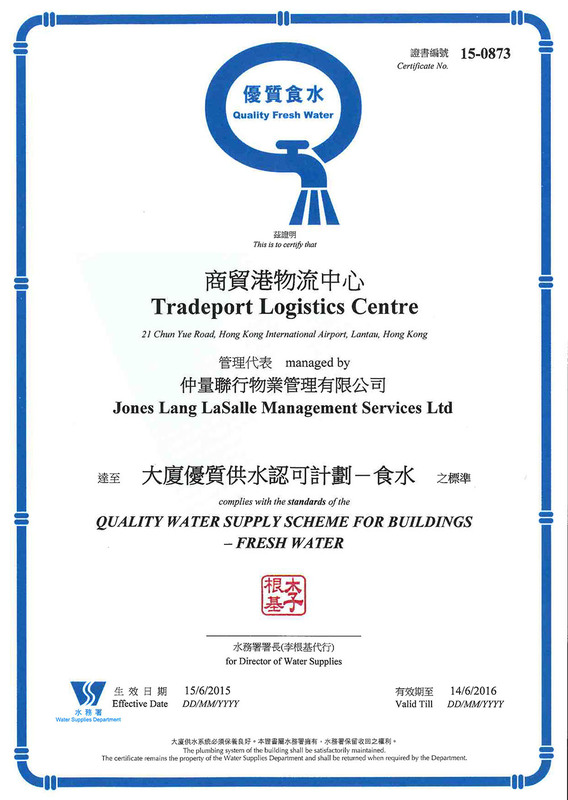 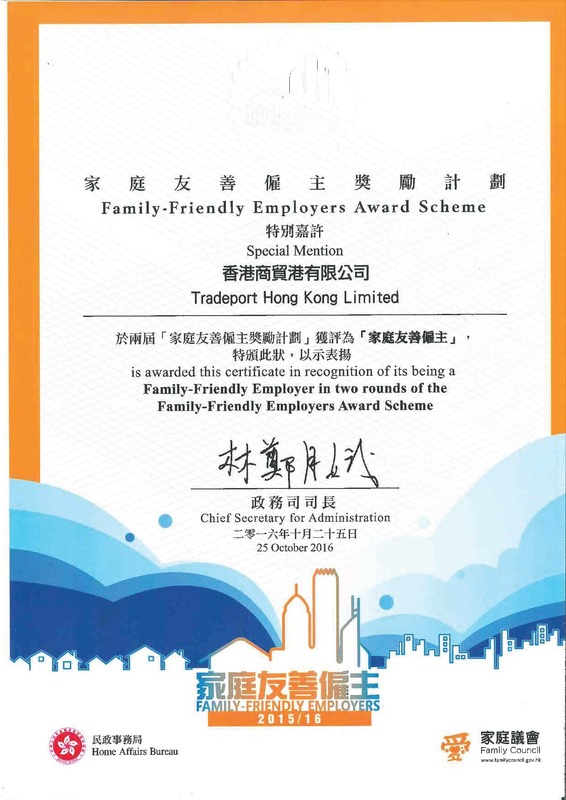 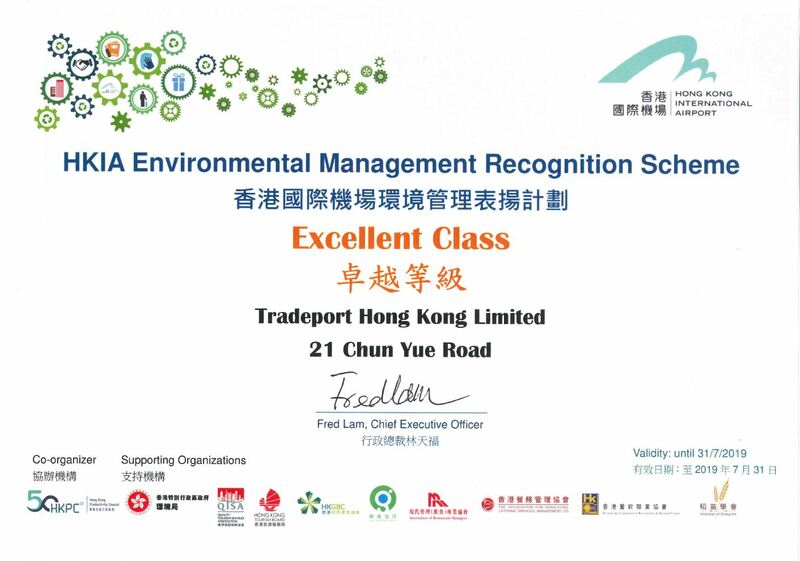 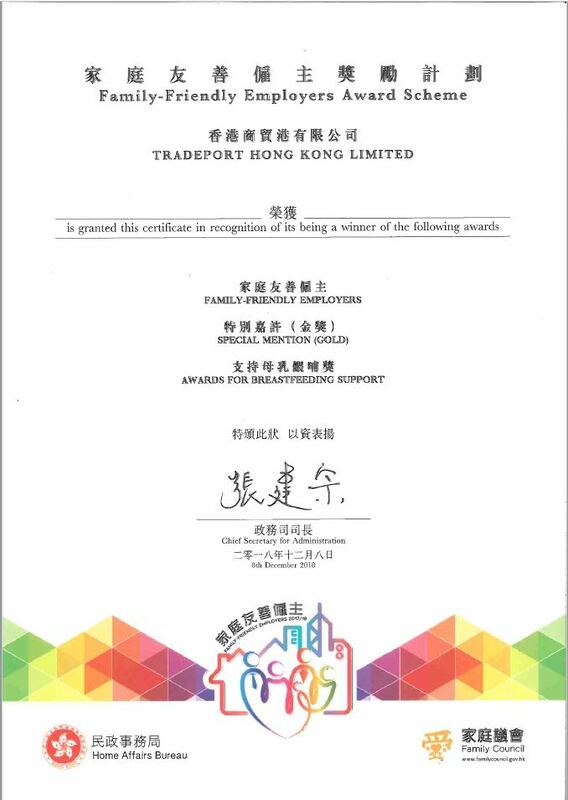 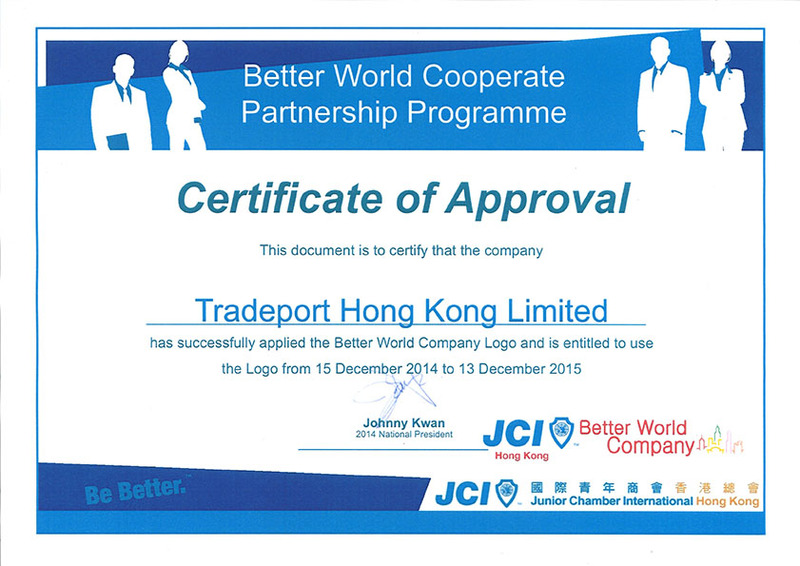 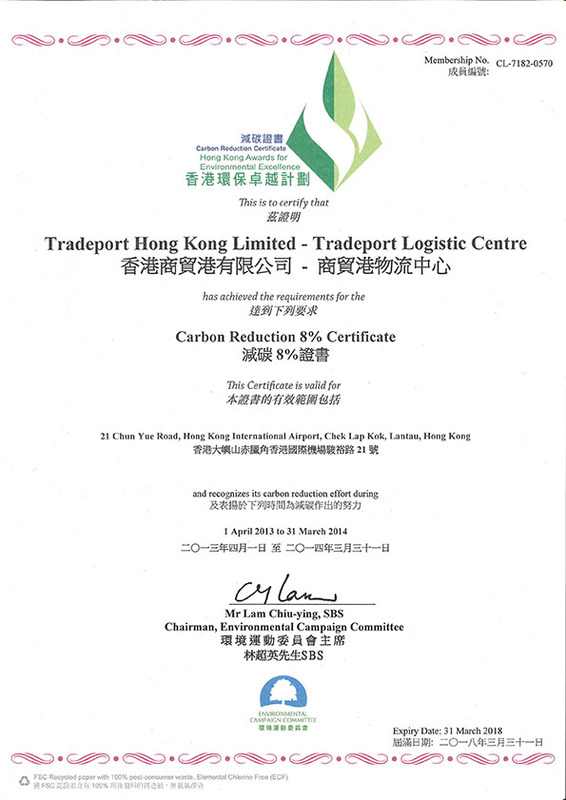 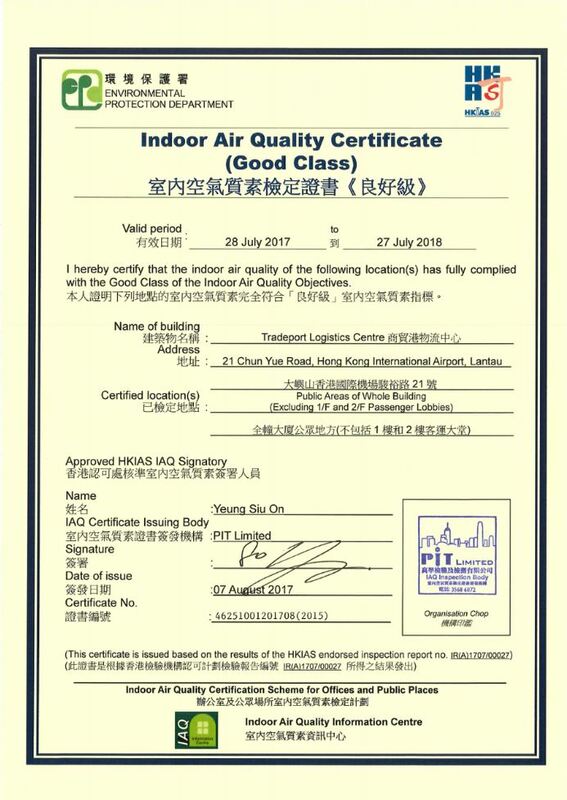 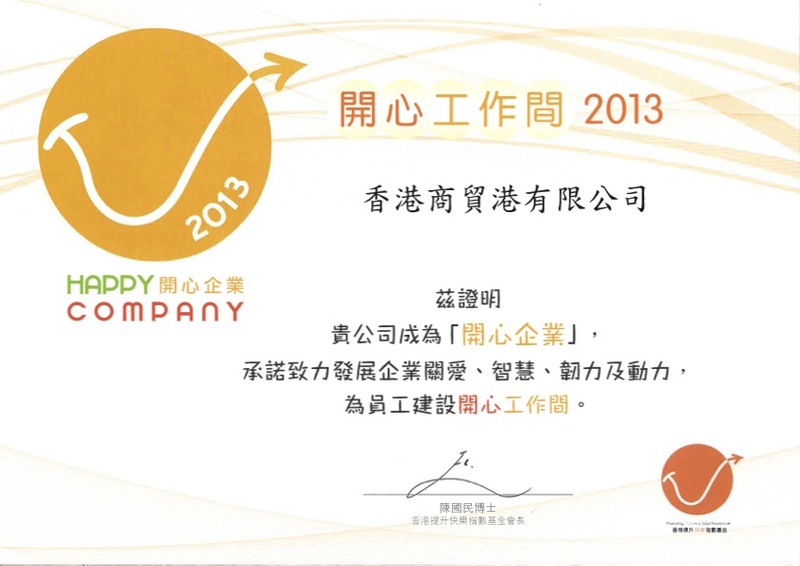 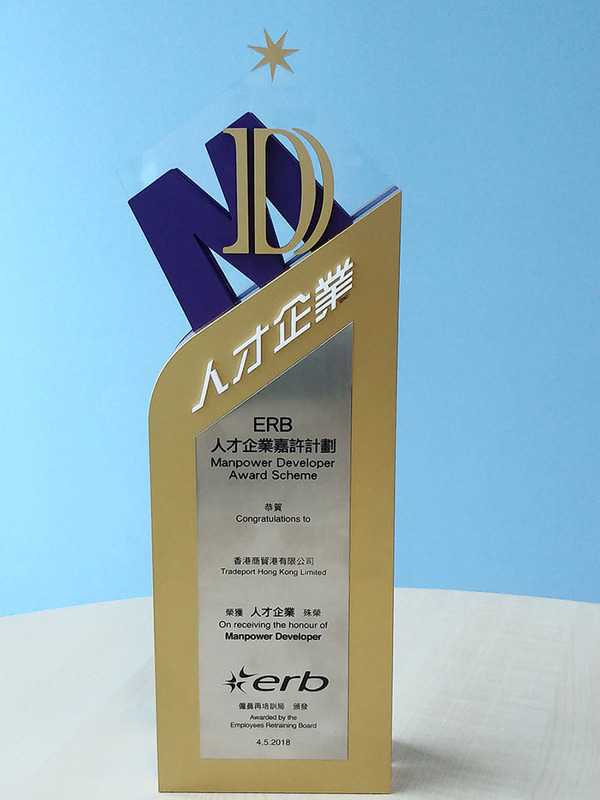 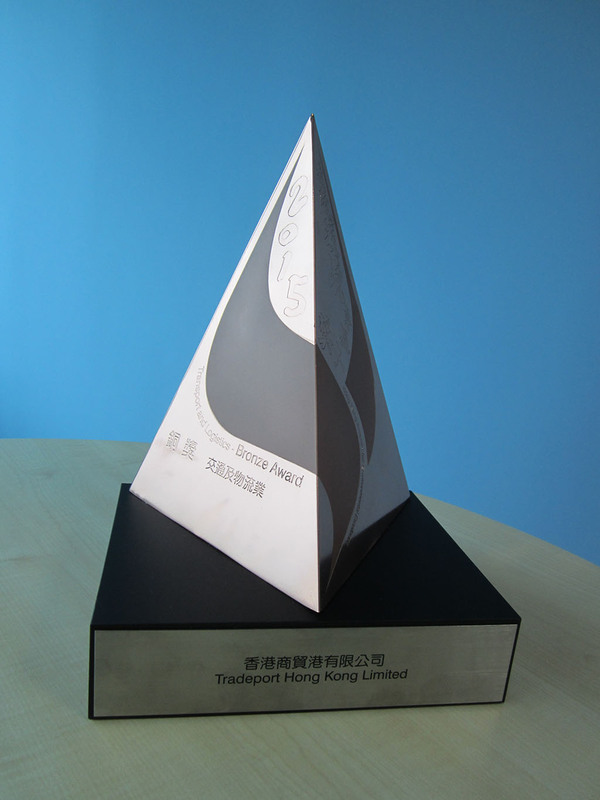 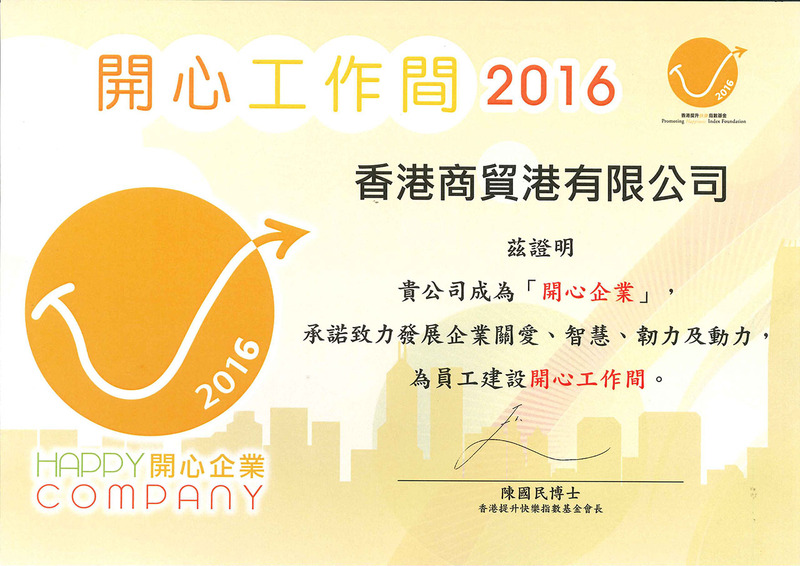 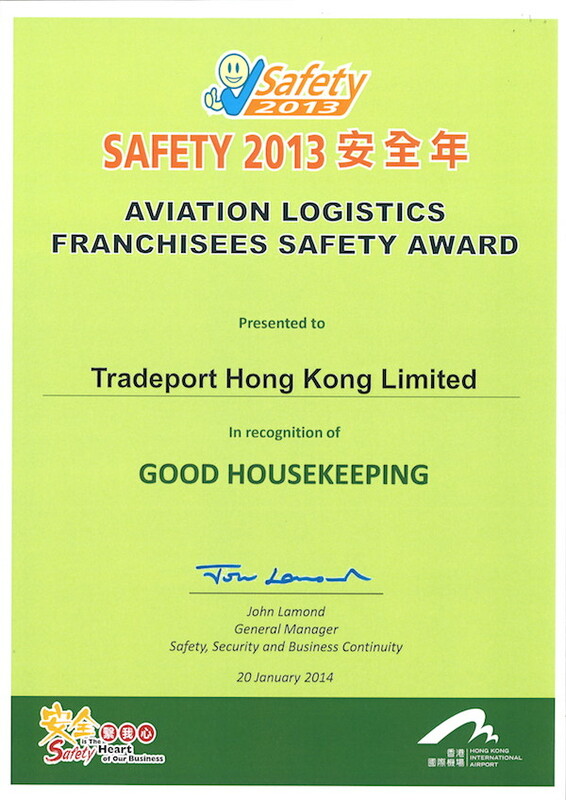 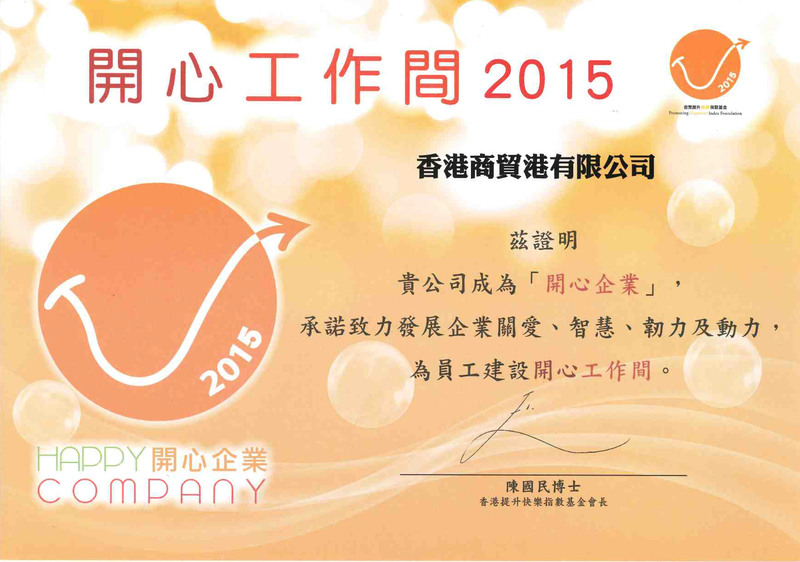 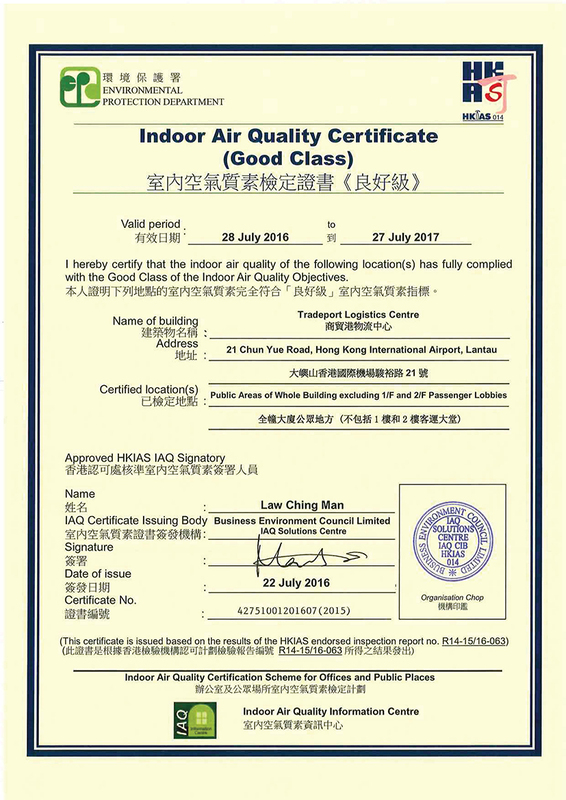 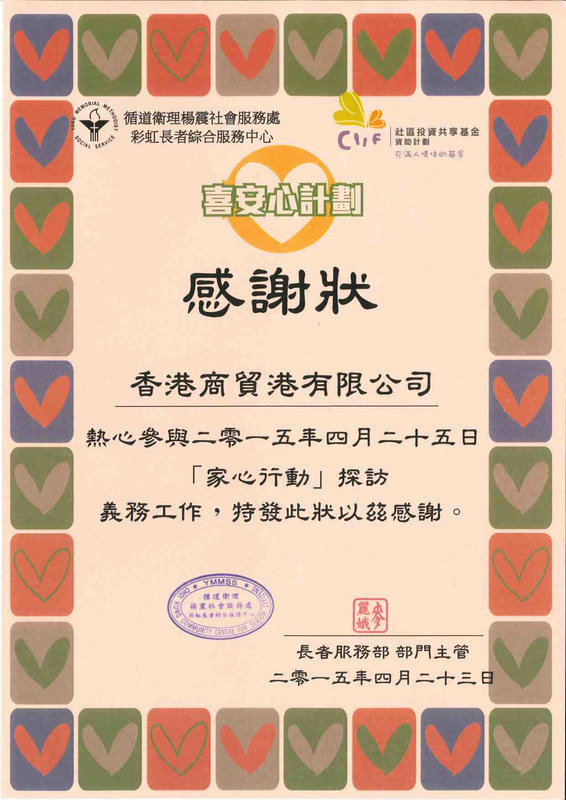 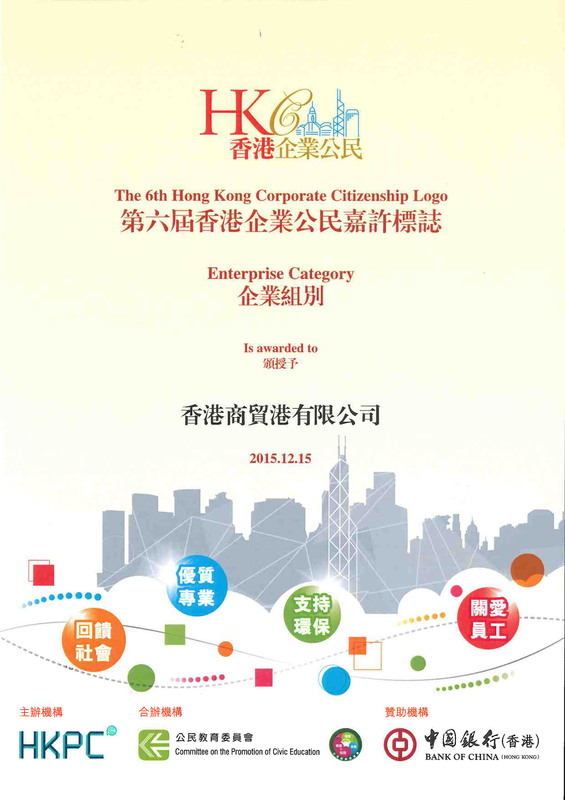 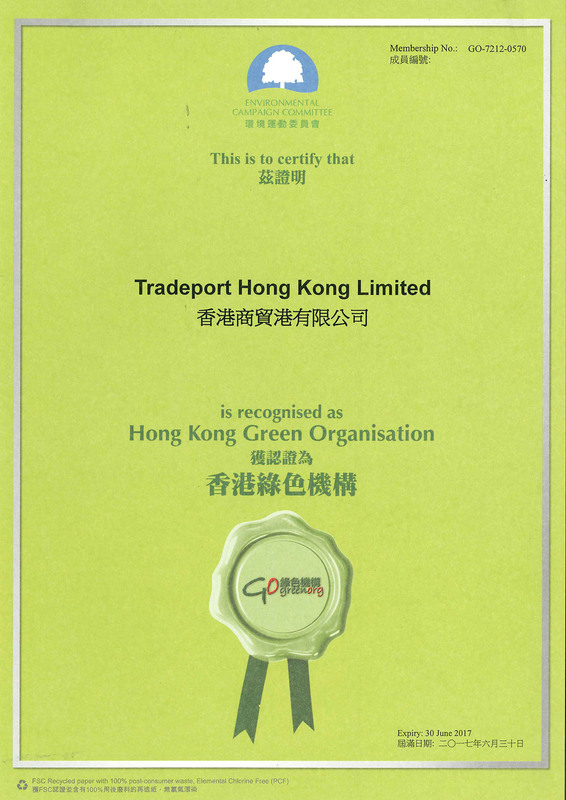 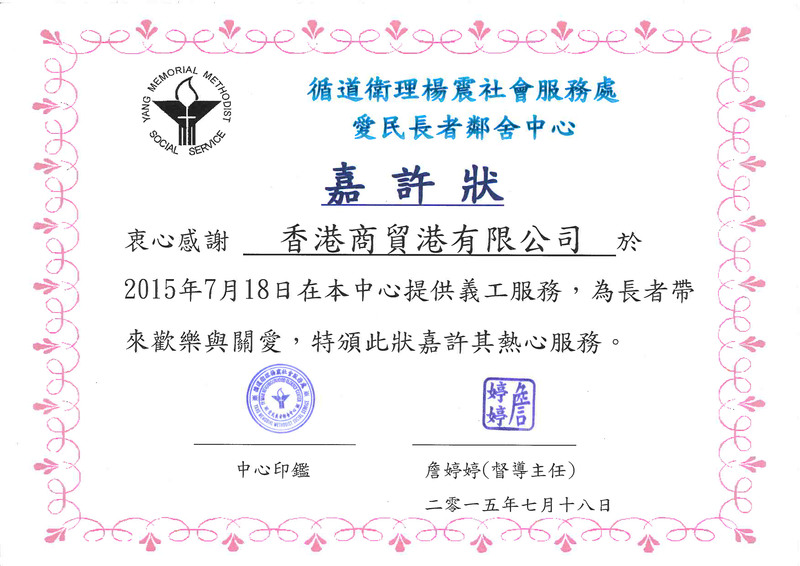 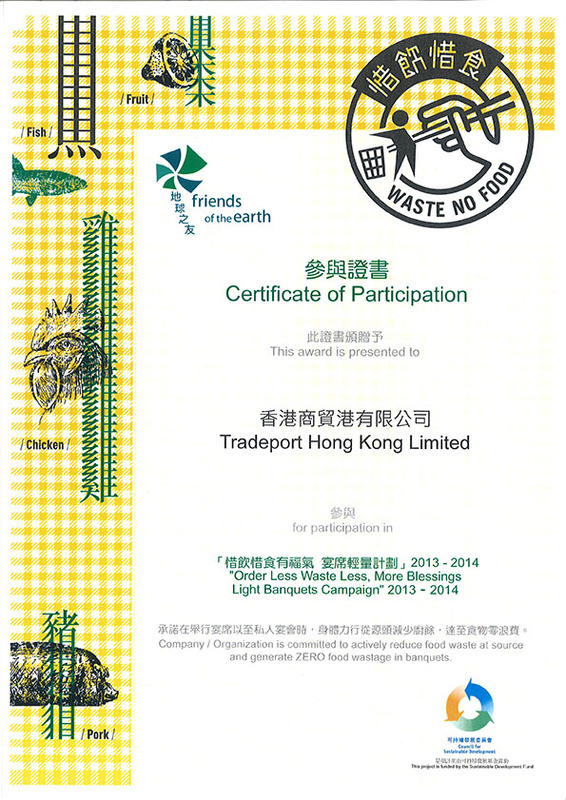 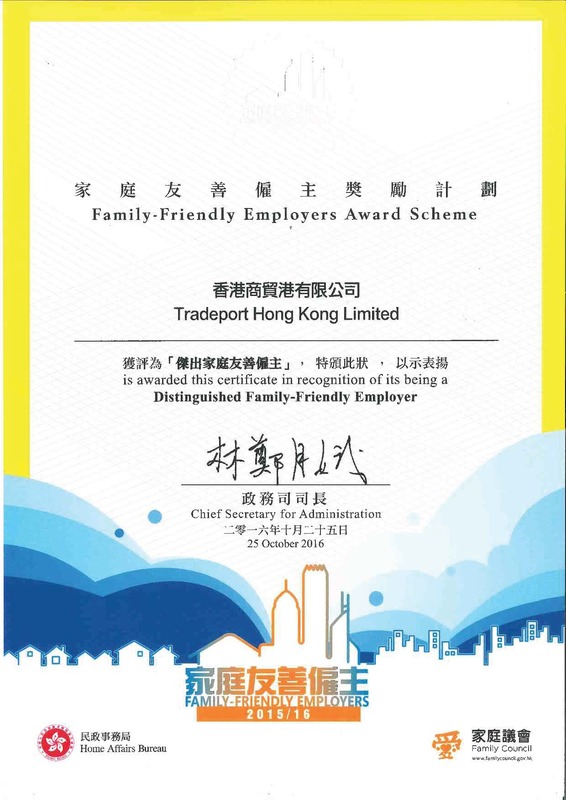 Tradeport is accredited as an Authorised Economic Operator (AEO) by the Customs and Excise Department of the Hong Kong SAR government and enjoys priority customs facilitation. 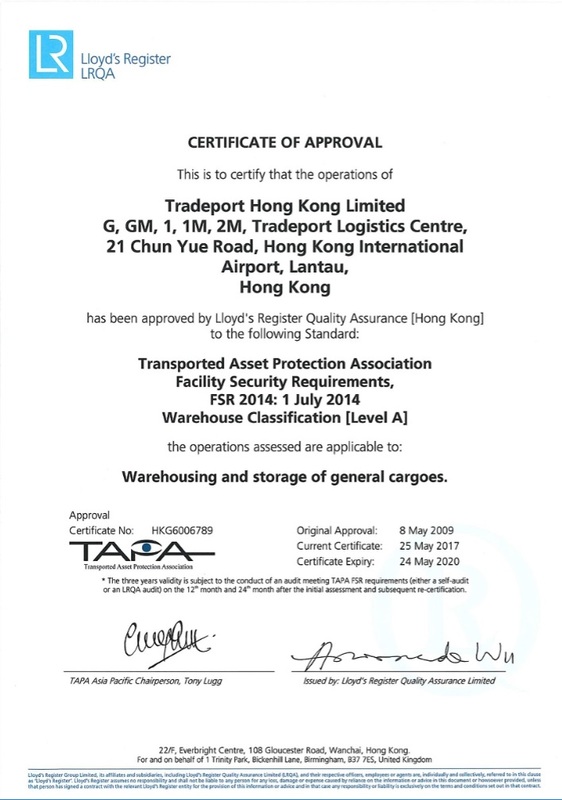 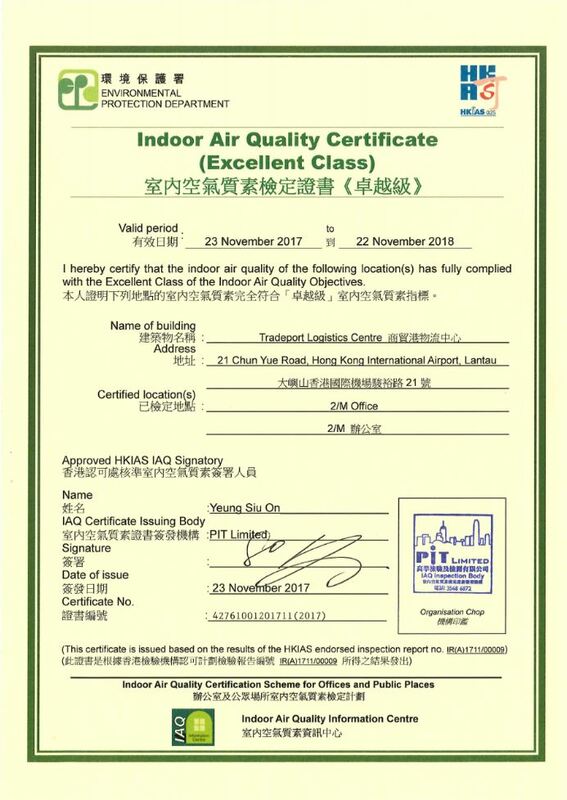 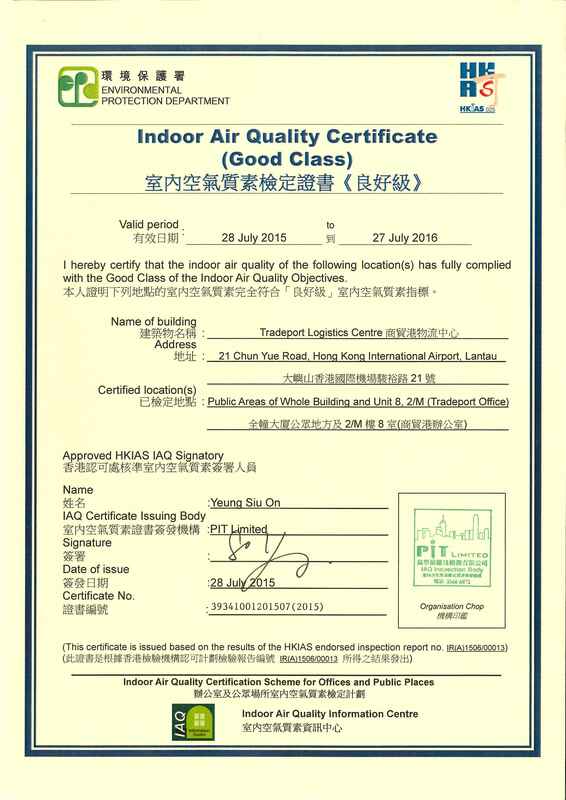 Our facility is certified with TAPA (Class A) for our physical settings and procedures to ensure the highest level of security for our customers. 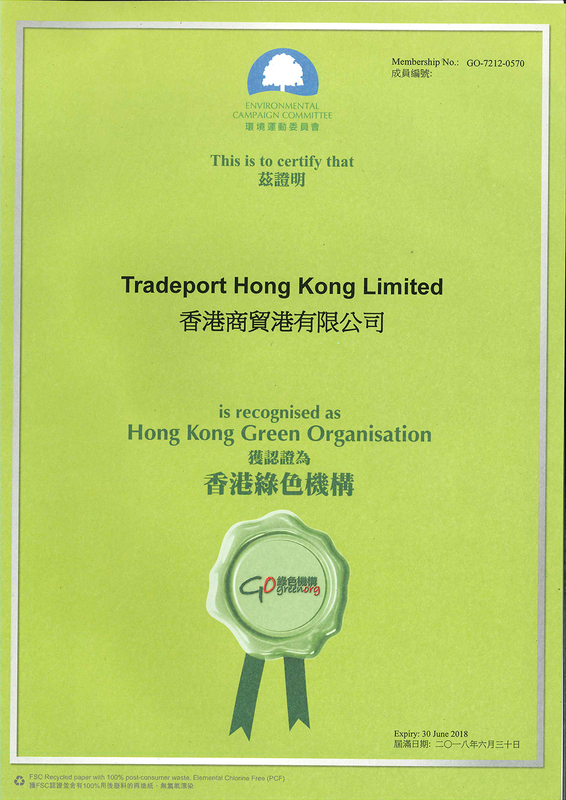 We are also recognised by the Customs-Trade Partnership Against Terrorism (C-TPAT) and benefit from expedited processing at the U.S. Customs. 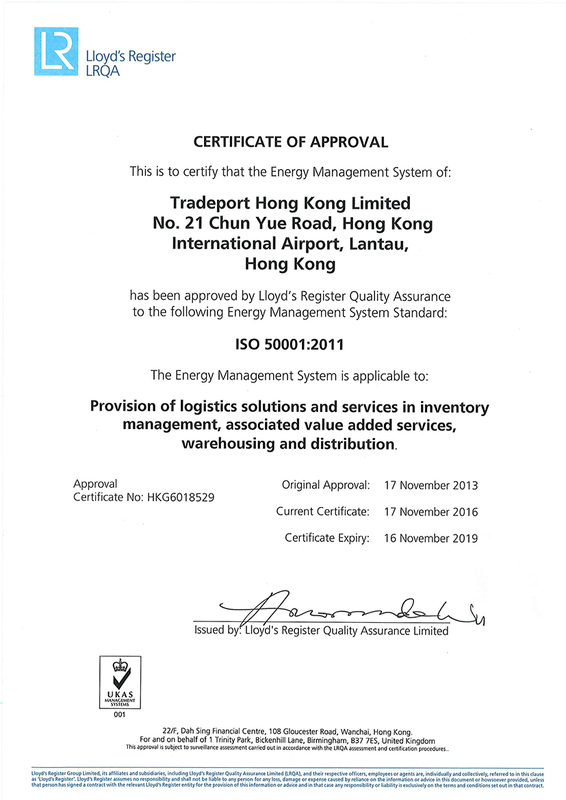 All of this translates into reduced inspection fees, customs fees and cargo fees, and increased speed to market for you. 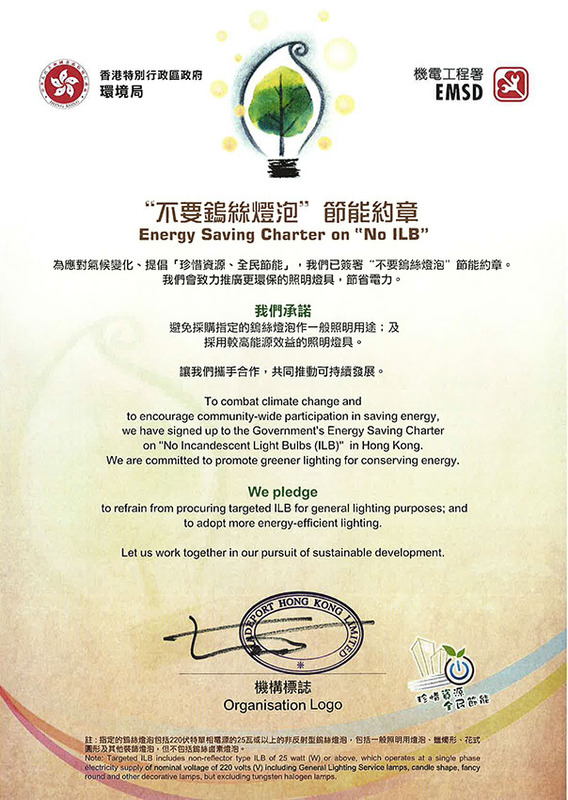 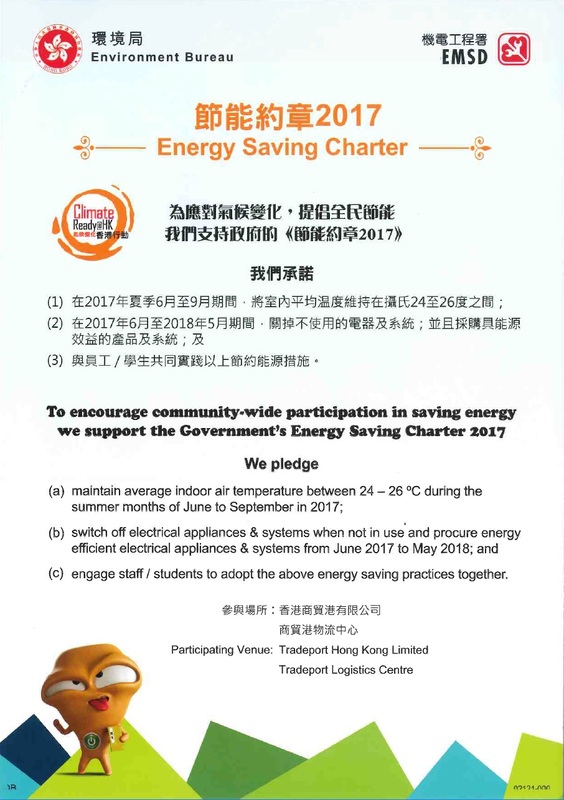 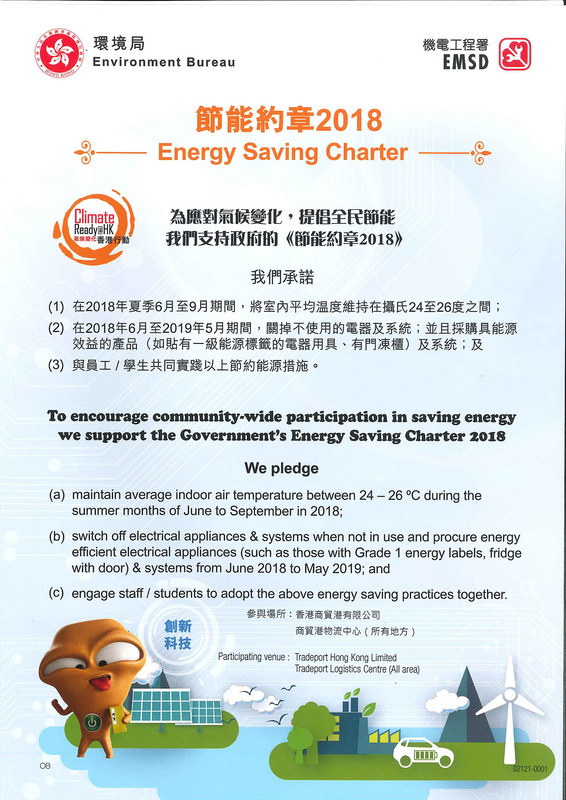 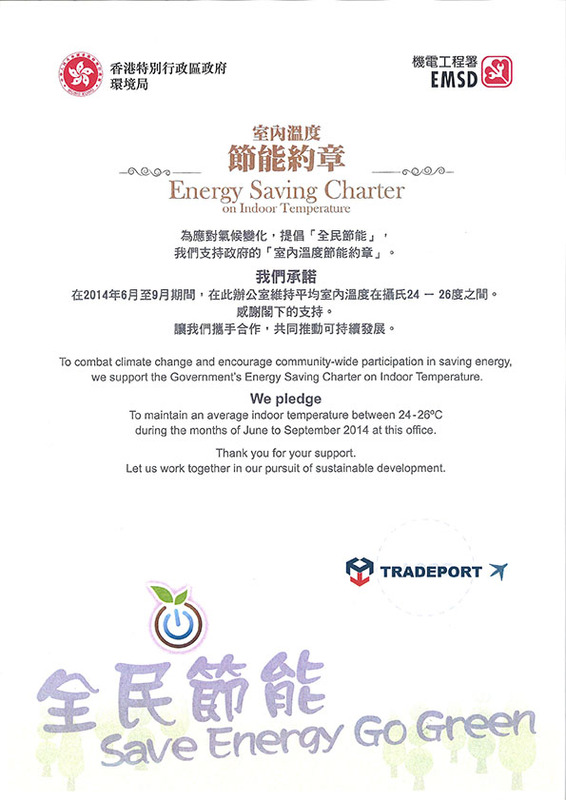 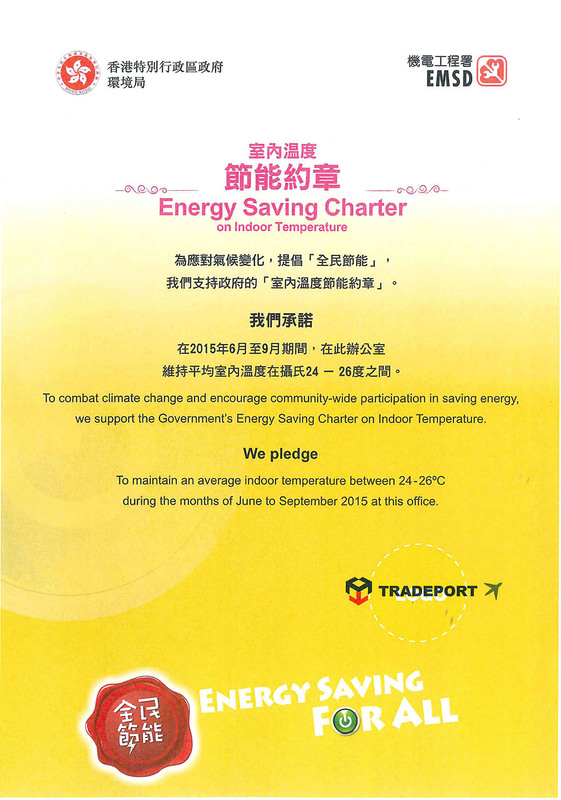 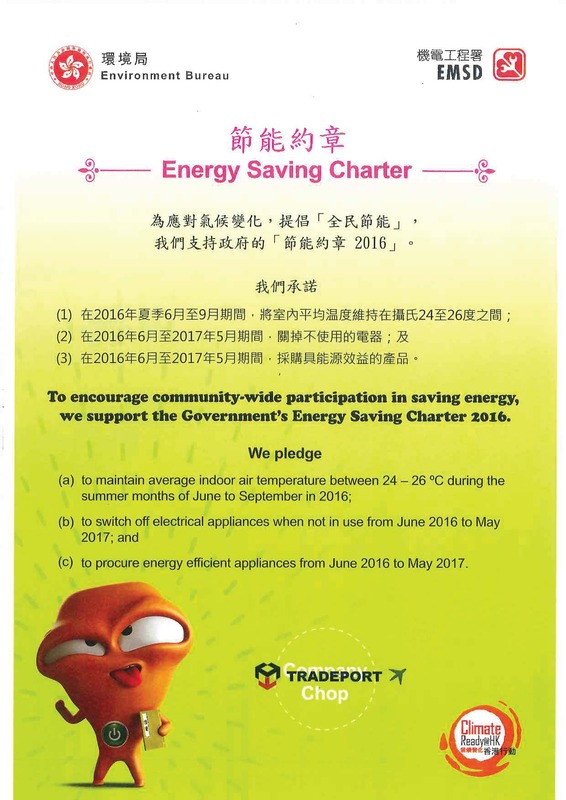 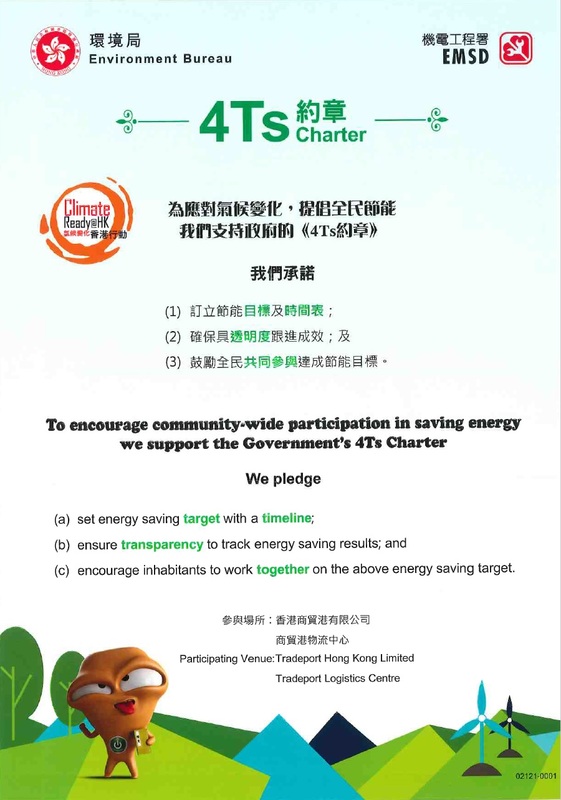 2013 Energy Saving Charter on "No ILB"